MICAT 2018 conducted by Mudra Institute of Communication is a computer-based qualifying test for the PGDM-C admissions offered by Mudra Institute of Communication (MICA), Ahmedabad.The last date to apply for MICAT is 5 February 2018. The candidates must note that PGDM-C offered by MICA is equivalent to an MBA. PGDM-C is a 2 Year Full-Time course which is approved by AICTE and the Association of Indian University. The overview of the PGDM-Communication course will be focused on the 3 aspects that are creativity in the thinking, Consumer centricity, Outreached Communications. MICAT Final Merit List Released! MICAT will be conducted twice for selection of PGDM-C 2018-2020 batch. Better of the two MICAT Scores will be considered for the admissions.Following is the schedule of both the MICAT exams. Declaration of Final Results - Available Now! Following given specializations are offered to the candidates in the 2nd year of PGDM-C program. Academic Qualification: Applicants must have completed their graduation (Minimum 3 years) in any stream following the 10+2+3/4 system or an equivalent qualification in any discipline. Final Year Candidates of the 3+ Year graduation courses are also eligible to apply. Institutional Qualification: Applicants graduating Institute must be approved and recognised by the Association of Indian Universities (AIU). Qualifying Exam: CAT 2017, XAT 2018 and GMAT(Taken after 2015). Foreign Nationals/NRI: Applicants need to have a valid GMAT Score taken after 2012 and a passport. Mudra Institute of Communications PGDM-C Applications for the session 2018-2020 will be filled in through online mode only. Candidates should visit the official website of MICA or click on the following link to fill the application form online. The MICAT Application Form can be submitted through online mode only. Candidates should check the filled application form before final submission. Any changes cannot be done in the application form after final submission. There are 3 Modes of the payment of the MICA fees stated below, the candidates can pay the application fees in any of the modes whether Online or Offline. MICAT 2018 Admit Card will be available online only. Applicants have to download the MICAT-1 Admit Card Online from the link given below. Mudra Institute of Communications’ selection process will comprise the following given steps. The candidates will be shortlisted on the basis of the composite scores of the MICAT Exam, Group exercises, and Personal Interview. STEP 1:CAT 2017, XAT 2018 and GMAT: Every candidate has to take at least one of the three exams: CAT 2017, XAT 2018 and GMAT (2015 onwards). STEP 2: MICAT Exam: There will be three sections in MICAT Exam, the candidates will have to go through the Psychometric, Verbal ability, Quantitative ability, General awareness, Divergent-Convergent Reasoning and Descriptive Test. However, Psychometric test will only act as a qualifier test. The candidates who will qualify in MICAT exam will have to appear in GE and Personal Interview. Approximately 1/10th of the total number of candidates who appear in the two MICATs will be shortlisted for GE & PI based on the Total MICAT Scaled Score. STEP 3: Group Exercises: All the shortlisted applicants have to go through the Group activity where they will be scored the Individual marks on the scale of 1 to 5. STEP 4: Personal Interview: Applicants will now go through the Personal Interview where a panel of 3 Anonymous bodies will assess them. The composite score obtained in MICAT, GE, and PI. MICAT 2018 Exam will be conducted in the 36 given below test cities, applicants can check the details of MICAT 2018 Test Centres on their respective MICAT 2018 Roll Number. 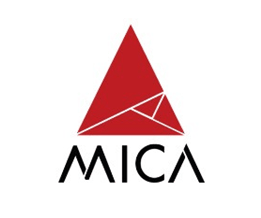 MICA claims to give 100 per cent campus placements with the best corporate houses in India as well as abroad. The last batch of the year 2015 got 100% placement. A total of 157 students of a batch of 160 chose to be placed through the Institute's Campus Placements process. A total of 85 companies participated in the final placements, the same as last year. The highest salary offered in last year's placement season was Rs. 25 lakh. The average salary offered was Rs.11.3 lakh. 3 students got overseas campus placement. MICAT 2018 Application Form- Registration Started for MICAT 2! MICAT Admit Card 2018 - Download Hall Ticket! MICAT Result 2018 - Final Merit List Released!